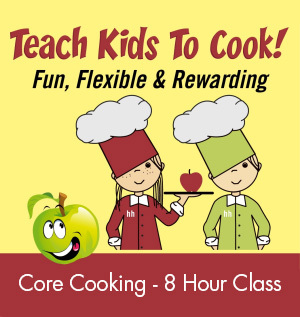 This 8-Hour Core Cooking class is broken up into (4) two hour classes, one class per week for four weeks. 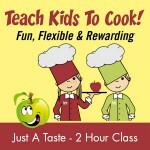 This class is designed for kids 9 – 13 years of age. Price: $195.00. (no tax or S&H). Price includes: Student Kit ($65) + cost of the class and Brooke’s nutritional instructor fee ($130).